Not me! My first pair of Machingers quilting gloves! I’m retiring this pair after faithful service for 3 years, 150+ quilts, and some 13.5 million stitches on my Sweet Sixteen. I have two other pairs, so it’s time for this first pair to be retired. 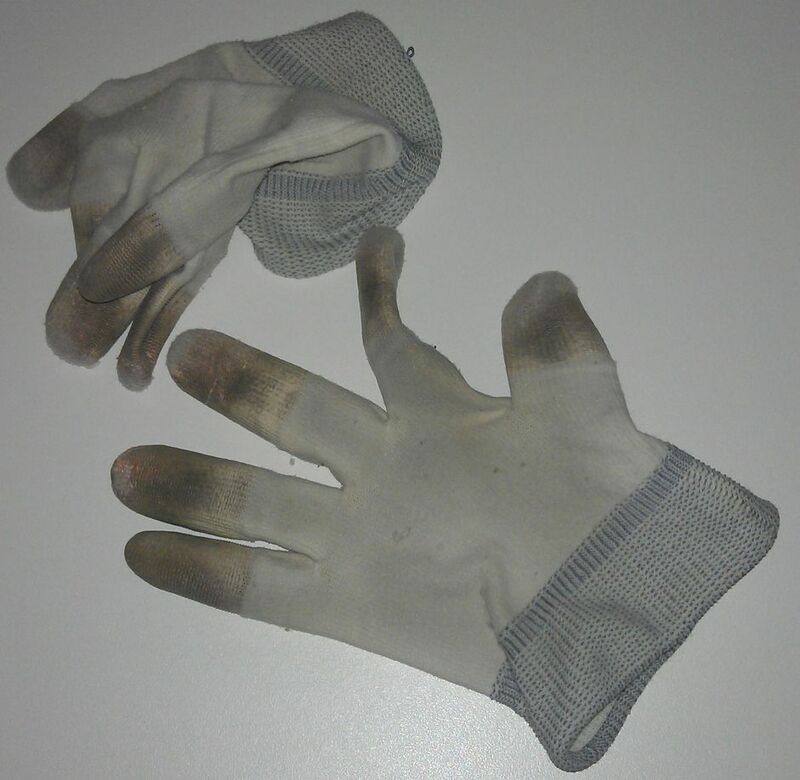 Yes, they look grubby, and yes, I’ve washed them, and yes, they still work, but the rubberised finger tips are almost worn through, and the elastic wrist bands are floppy and won’t stay on my wrists anymore. I wear them for every quilt, and find I have to grab the quilt much more if I don’t put them on. So it’s the bin for these faithful servants… The new pair is already out of the packet and ready to go to work.